When you’ve got a RAM 1500, equipped with the works – an HD transmission, extra intercooler and all the appropriate gearing – you don’t expect to have any problems when putting it to work. 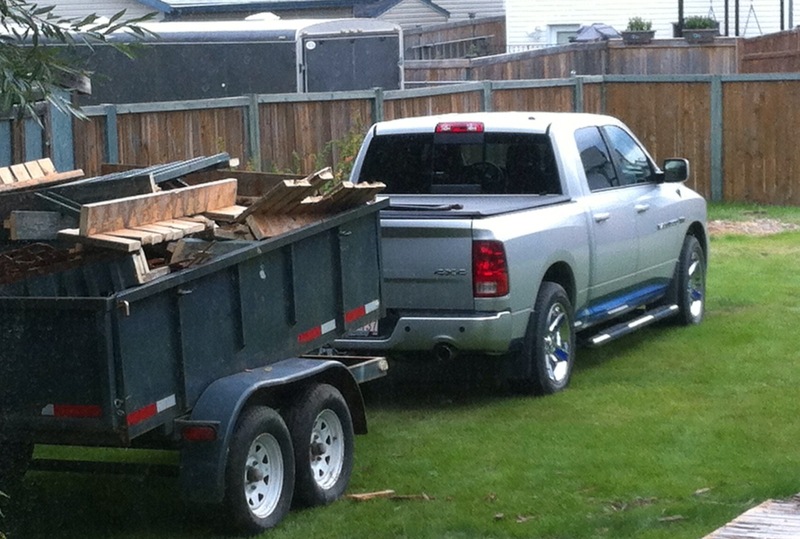 For Trevor S. of Spruce Grove, Alberta, he thought that was the case until he found that his stock suspension was sagging while towing his ball-hitch landscaping trailer during a home renovation. Then, when looking to add a 35-foot 5th wheel toy hauler to his fleet, he realized that he’d need to give his rear suspension an upgrade. As a former long haul driver, Trevor was no stranger to hauling heavy loads. His RAM is decked out with everything he needs to tow comfortably and with the least amount of stress possible. His AutoSlide 5th wheel hitch would help with making the tough turns, but he still needed a system to help with weight distribution. After 12 years driving a Kenworth T800, he knew that adding air suspension would give his suspension the reliability and provide the weight distribution needed to tow safely. After some research, he found Air Lift’s LoadLifter 5000. The 5,000 lbs. of load-leveling ability was exactly what Trevor needed to stop the squat and take the stress out of towing and hauling. 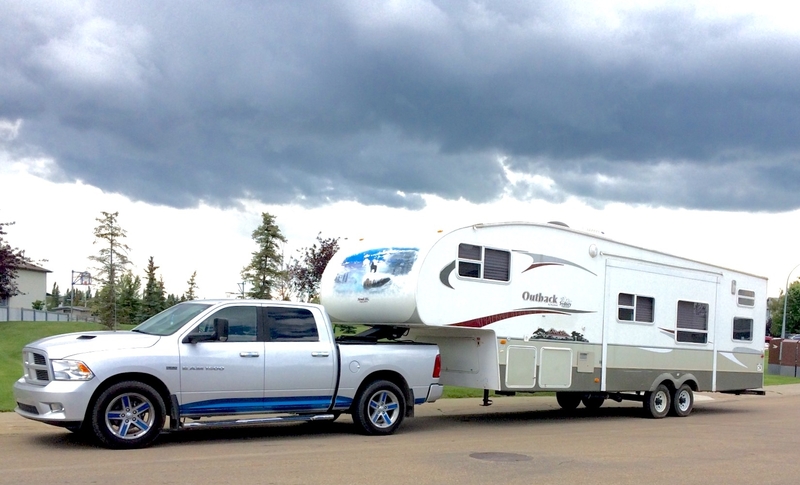 After talking to Jason at HitchPros in Sherwood Park, he purchased and had the system installed on his RAM. With the LoadLifter 5000 on his vehicle, Trevor can tow and haul with safety and comfort, whether it’s his toy hauler or his landscaping trailer. 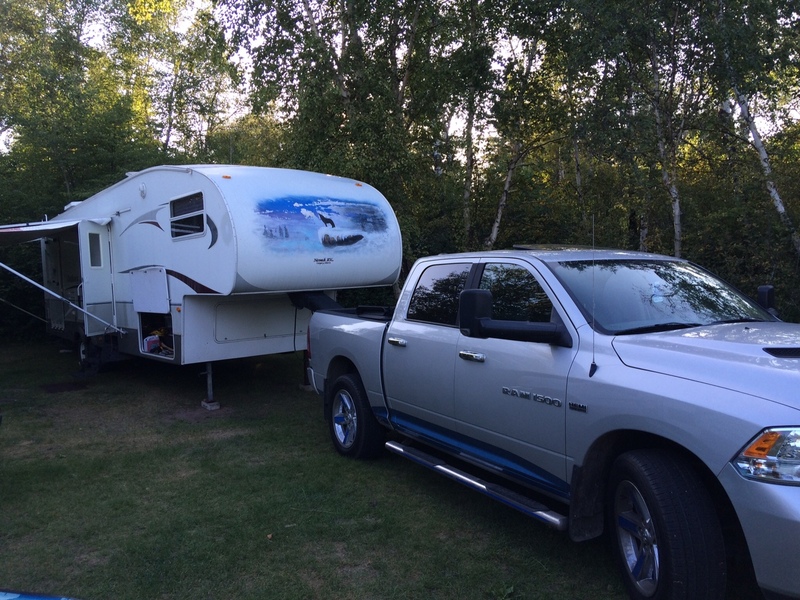 Since adding the system to his truck, Trevor and his family have taken the toy hauler 300 miles from home on a trek to a family reunion in Cold Lake, AB. On their way, they encountered 118 miles of road construction that subjected the truck and toy hauler to everything from gravel, to variable height pavement, and back again. “The unit handled beautifully,” Trevor remembers. As for the upcoming year? The family has plans to attend numerous motorcycle rallies in the three western provinces of Saskatchewan, Alberta, and British Columbia, in addition to wintering more than 800 miles away in Arizona. With the LoadLifter 5000 by Air Lift, I never worry about the back end suddenly sagging with the weight transfer. Special thanks to Trevor for taking the time to share his #lifeonair with us!